The North Eastern part of India is quite famous for its magical beauty, undulating hills, lush green valley cover and wide variety of flora & fauna and breathtaking beauty of landscapes. This 6 Night and 7 Days Guwahati Shillong Tour Package take the rugged natural beauty to a magnificent tour of Meghalaya, North East India. You get opportunity of exploring famous tourist destinations such as Guwahati, shillong, and Cherrapunji. So hurry up! And grab this awesome deal. Note: This is just a suggested itinerary indicative of what could be possible. We tailor holidays for your specific needs. Contact us if you want modifications so that we could tailor a holiday to suit your need for an unforgettable India tour. . Upon arrival in Guwahati, meet our tour representative who’ll assist you in smooth transfer to the hotel for overnight stay. Post breakfast in the morning, pay a visit to the Kamakhya Temple, a major Hindu pilgrimage site. 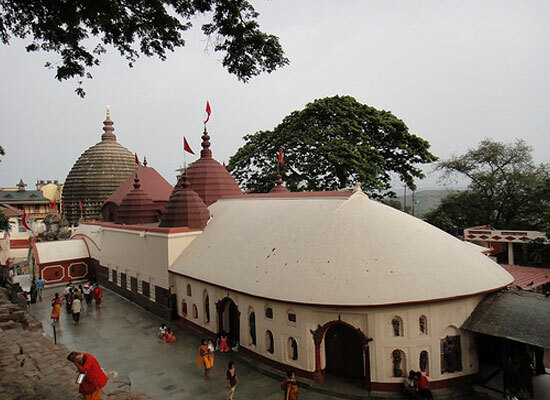 One of the famous Shakti peethas in the North East India, Kamakhya temple is visited by a million devotees during the Ambubashi festival. Later, hit the road to Cherranpunjee (170 kilometers). It is the region with the highest rainfall. On the way, visit the Borapani Umiam Lake. Stay overnight in Cherrapunjee. In the morning, set off to visit the Krem Mawmluh cave in Cherrapunjee. It is located around 0.5 kilometers west of Cherrapunjee, next to the small village of Mawmluh. It has five river passages with impressive magnitude. The length of the cave is more than 7 kilometers. 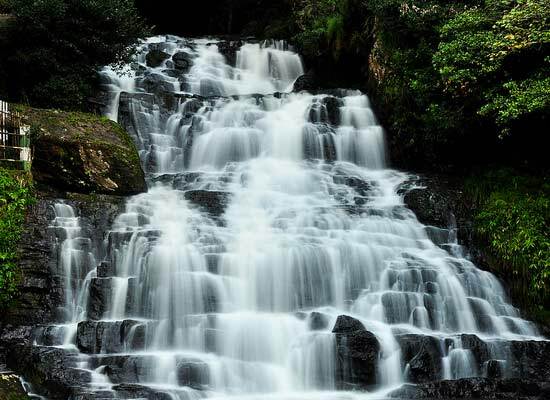 Besides, you will also visit the waterfalls in Cherranpunjee. Stay overnight at Cherrapunjee resort. Post an early morning breakfast, enjoy a leisurely walk on the Double Decker Living Root Bridge, designed by the indigenous Khasi Tribesman. 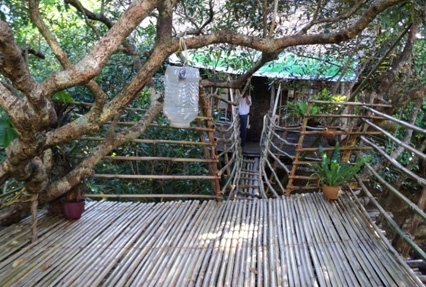 Later, enjoy a picnic lunch on the bridge and return back to the Chera Tourist Resort. In the evening, treat your eyes with the awe-inspiring views of the Khasi hills and the Bangladesh plains. Overnight stay at Cherrapunjee resort. 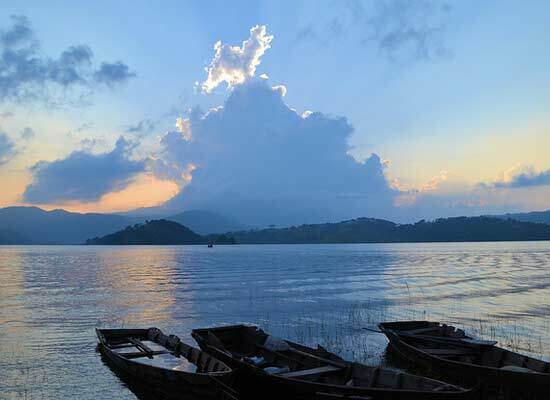 Post breakfast, take a road journey to Shillong, also known as the ‘Scotland of the East’. On the way, visit the Elephanta falls and head straight to Shillong peak to enjoy some breathtaking views. Overnight stay in Shillong. 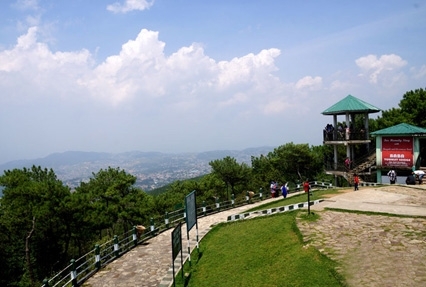 In the morning, embark on a sightseeing tour of Shillong. The former capital of Assam, it is the home to the Khasi Highland tribes. Overnight stay in Shillong. Today, you will be transferred to the Guwahati airport to board flight for onward journey.